Darkness cloaks its entrance. Even the brightest beam fails to penetrate the mist and emptiness in its inner chambers. Hidden in these dark territories are rock formations that have formed over thousands of years, and hold various minerals and historical information on climate conditions. Some of them yield well-preserved fossils, skeletons and skulls, and cave paintings, which offer clues to evolution and early human society. Their absolute darkness and silence harbour many endemic species of birds, bats, fish, insects and arachnids. This is the reason these mysterious geological structures have for ages attracted the attention of explorers, scientists and writers alike. Formed naturally by the weathering of a wide variety of rock types through different geological processes, and often extending deep underground, a cave can be a single small room, interconnected chambers, or a long tunnel. The longest cave system in the world is the Mammoth cave in Kentucky, USA, which extends up to 590 kilometres. Prior to the mid-19th century, people were interested in knowing the geography, geology and, to some extent, archeological aspects of caves. Then the rock formations, or speleothems, were one of the main attractions. Some of the speleothems droop from the ceiling like chandeliers and are called stalactites, while the others emerge from the floor like pillars and are known as stalagmites. Later, scientists started taking interest in the organisms living in caves. By the end of the 19th century, the science of exploration and study of caves developed into a subject, speleology, with several fields to study different aspects of caves. In recent years, speleologists have provided valuable information and understanding on climate change, fossil fuel deposits, groundwater quality and contamina-tion and biomedical research. In India, caves have been the centres of cul-tural as well as religious significance since prehistoric times. Several caves where Hindus worship stalagmites as Lord Shiva are important religious sites. Amarnath and Vaishno Devi temples in Jammu and Kashmir are two of the most venerated Hindu temples that exist inside caves. Moreover, the world-famous rock-cut cave monuments, Ajanta and Ellora, are also sculptured inside underground passages. During the World War II, caves came to limelight for another reason: the tonnes of guano deposits in Meghalaya caves served as a major source of phosphorous to make bullets and bombs. 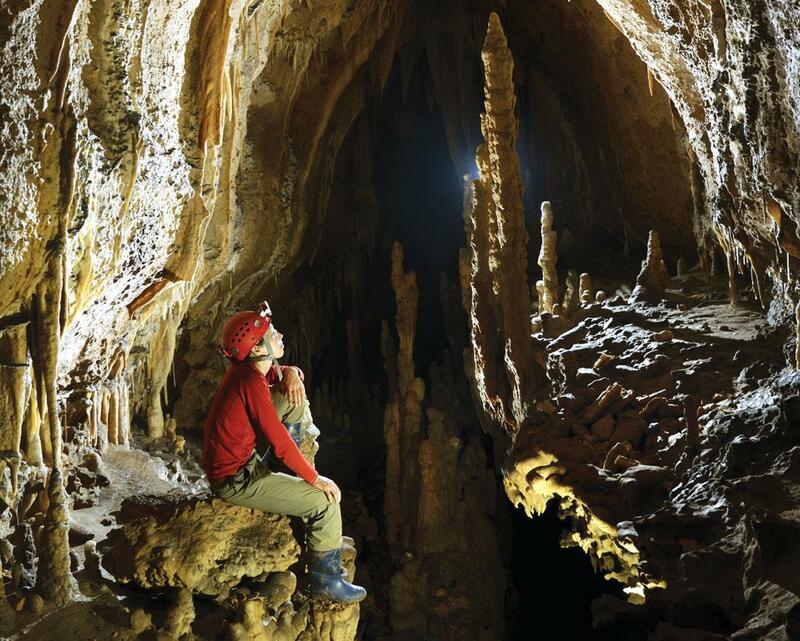 Today, caves have emerged as major attractions for ecotourism and adventure tourism. One of the fascinating spots for spelunking, or caving, in India is the Krem Liat Prah cave in Meghalaya, which stretches beyond 34 km and could extend manifold if nearby cave systems are connected. But tourism and recreational activities can affect the fragile ecosystem of caves. In fact, every visitor leaves behind a negative impact on the cave. Most of the damages are due to ignorance of common ethics, purposeful vandalism, uncontrolled tour-ism activity, treasure hunting, mining, pollution, illegal collection of cave resources and rapid urbanisation (see ‘Developing destruction’,). 2015: Over-accumulation of domestic and industrial garbage is becoming a major threat for Krem Um-Lawan, a prominent cave in Jaintia Hills, Meghalaya. Asia's longest cave Nongkhlieh and Krem Liat Prah in Jaintia Hills district in Meghalaya is on the verge of extinction due to rampant and unscientific rat-hole mining for coal and limestone. 2014: Eight people were crushed to death when cave Bildwar in Sarguja, Chhattisgarh, collapsed due to frequent blasts carried out in the nearby coal mines. 2010: Cave Krem Liat Prah would have vanished from the world map, if the Union government would not have withheld the decision to set up a Rs 1,000 crore cement plant in the area. 2009: Attempt to bore the surface of Kutumsar cave in Bastar, Chhattisgarh, permanently damaged a sizable portion of the cave. 2008: Unscientific mining triggered the collapse of a section of India's oldest known natural cave, Krem Mawmluh, in Cherrapunjee, Meghalaya. 2005: Caves of Mukteshwar Dham of Pathancoat, Punjab, are under threat due to the proposed Shahpur Kandi dam. Construction of the second part of the project would inundate the caves. Though cave exploration has been considered a sport since the beginning of the last century in Europe and the US, many countries have stringent laws in place to protect cave ecosystems. For instance, the state of Nevada in the US passed the strongest law in 1959 to protect caves as a unique geological and speleological sites. As most of the longest and deepest natural caves exist in the US, in 1988 it enacted the landmark Federal Cave Resources Protection Act, which directs secretaries of the interior and agricultural departments to keep a complete record of important caves on federal lands and to manage and disseminate information about them. 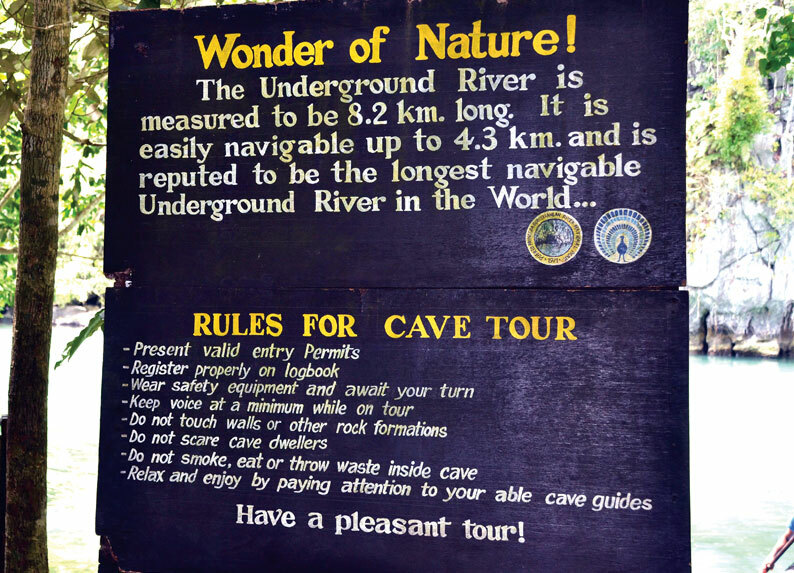 The Philippines has various exotic and majestic caves. Over 1,500 caves have been recorded since the Caves Management and Conservation Program was implemented in 1994. This is still considered only a fraction of the vast caves that exist in the country. But in India, there are no laws or proper guidelines to protect and conserve natural caves. While allowing industries and mining companies to work in areas near caves, the Union Ministry of Environment, Forest and Climate Change (MoEFCC) issues licences by evaluating their impact on the external ambient environment of caves without bothering about its subterranean state. Till date, no proper guidelines have been framed to manage the cave ecosystem. The health of a cave and its ecosystem gets affected by the anthropogenic activities carried out in and around it, and the number and type of visitors. The most threatening anthropogenic activity is unscientific quarrying, which can completely destroy a cave system. Deforestation can also brutally affect caves by causing accelerated erosion of sediments and by depositing silt and vegetable matter inside it. Besides, the hazardous ambient geophysical torture by visitors can directly damage the cave. Possibly, unawareness about cave ethics is the reason behind this (see ‘Cave ethics’). Use a helmet to protect yourself from a sudden fall of any rock. Carry your own torch/headlamp as caves under darkness may spoil your visit. Wear closed shoes or sneakers. Sandals or open-toed shoes may hurt your feet in slippery or rocky floors. Never go barefoot. Avoid traditional costumes. Dresses like saree, salwar suites, kurta and dhoti may cling to a pointed cliff, causing casualty. Don't shout. Besides several fauna, caves are home to bats. Abrupt sounds may cause anxiety among them, resulting in an attack. Do not pee, spit or excrete. Human excreta may lead to the formation of pathogens inside the cave. One of the biggest problems in framing a proper law for cave protection and restoration is that the geological structure, geo-physical characteristics and the nature of people visiting a cave varies from cave to cave as per the geographical location. Proper scientific studies and research about cave ecosystems and its resources are urgently required to widen our knowledge about these ancient and fragile structures. The government needs to urgently enact a proper cave conservation law to protect the subterranean treasures, or else the time is not far when our younger generations will blame us for losing out on our precious heritage and culture.